Your tyres are essential for driving safely; they are the only connection between your vehicle and the road. As the critical contact area is no bigger than the palm of your hand, you need them to work well. Avon has been producing high-quality vehicle tyres since 1904. Their tyres are designed to fit all kinds of cars and motorbikes, vans and trailers. Over many years, Avon tyres have not only proved themselves on the road but also on the world’s racetracks. Avon tyres are the choice of many racers on two wheels as well as four. The Avon Tyres company is now owned by the Cooper Tire & Rubber Company in the USA. Today, Avon’s tyre-making experience of more than a century is improved by the very latest design and high-tech manufacturing technology. A punishing test regime ensures tyres are tested to the extreme. It is clear to see why Avon have a reputation for making tyres that have unparalleled quality and ability. 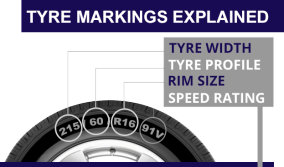 If you are looking for car, van, SUV or 4×4 tyres that can confidently shrug off the elements, and if you want a set of tyres that will help to make driving your car a pleasure and not a chore, then ask your Ellesmere Port tyre fitter for a set of Avon tyres. For a free no obligation Ellesmere Port car repairs quote or an Ellesmere Port tyres quote just give our team at Car Clinic MOT Centre a call on 0151 3390101 or pop in at your convenience.